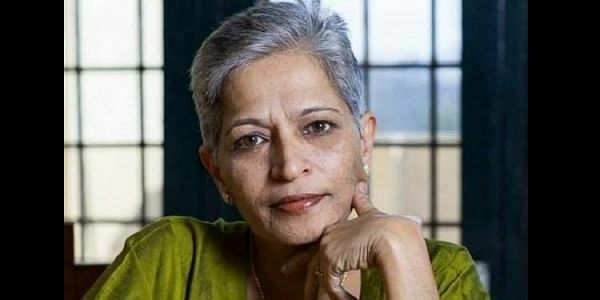 LONDON: India's ranking in the Press Freedom Index has fallen two places to 138, a watchdog said today in an annual report, blaming "physical violence" against journalists like Gauri Lankesh as the key reason behind the country's low ranking. Norway topped the list of having the world's freest press for the second year in a row, the Reporters Without Borders (RSF) said while North Korea remained the most repressive country followed by Eritrea, Turkmenistan, Syria and then China. India's ranking has fallen two places to 138th position in a ranking of 180 countries. The report warned that hate crime is another issue plaguing India. "Hate speech is also an issue in the continent's other giant, India, which has fallen another two places to 138th. Ever since Narendra Modi became prime minister in 2014, Hindu fundamentalists have been referring to journalists in extremely violent terms," the report said. "Any investigative reporting that annoys the ruling party or any criticism of Hindutva, elicits a torrent of online insults and calls for the death of the reporter or writer responsible, most of it coming from the prime minister's troll army," the report said. The RSF cited the case of the killing of journalist- activist Gauri Lankesh who was shot down outside her house in Bengaluru in September last year. "The newspaper editor Gauri Lankesh was gunned down outside her home in September after being the target of hate speech and death threats for criticising Hindu supremacy, the caste system and discrimination against women," the report said. "The physical violence against journalists is largely responsible for India's low ranking. At least three journalists were murdered in connection with their work. More were killed in circumstances that were unclear, as is often the case in rural areas, where reporters are poorly paid," according to the RSF ranking. China's ranking remained unchanged at 175th position for the second year. Underlining that China's censorship and surveillance has reached unprecedented levels due to the massive use of new technology, the RSF said foreign reporters are finding it harder to work and ordinary citizens can now be jailed just for sharing content on a social network or during a private chat on a messaging service.